Political theology is an important and growing field of theological research, which has also attracted the attention of political scientists, philosophers, and social theorists. This interest has led to different and often ambiguous definitions of what political theology actually is. In addition, related subfields like liberation theology, public theology, and critical theory are often associated with political theology, making categorization challenging. 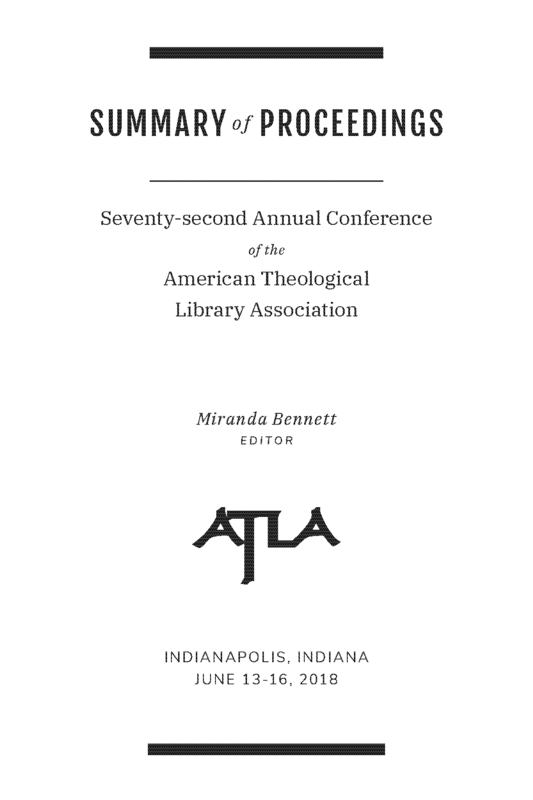 It is important that theological librarians understand the changing terrain of theological-political inquiry in order to better provide access for their research communities. In this paper, we present findings about the range of current description practices for books and journal articles related to political theology. We share preliminary explorations in mining cataloged resources for subject headings related to political theology, as well as full text of titles in HathiTrust for clusters of words that can be modeled as topics. These tools can help librarians to better understand the research literature they are describing, and engage with it more actively.